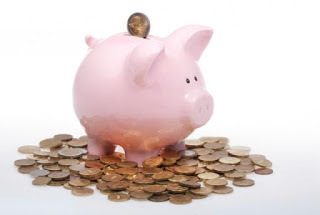 The best thing to do as a first time buyer is to start saving for a deposit. The minimum amount most mortgage lenders will ask for is a 5% deposit of the property’s value in order to grant a mortgage. So provided that you meet the mortgage lender’s criteria for lending, the mortgage lender will then lend you 95% of the property’s value. Therefore if you wanted to buy a £150,000 property you would need to save up at least £7,500 and borrow £142,500. Sometimes also known as a ‘Decision in Principle’ an AIP is a certificate or statement from the mortgage lender to say that in principle they will lend a certain amount to you as a prospective borrower based on some basic information. I would recommend using websites such as www.rightmove.co.uk and www.zoopla.co.uk to find your ideal property. Also pop in to your local Estate Agents (preferably Bullock & Lees!) and ask to see property particulars of any properties that meet your budget requirements on their books and make appointments for viewings. Submit your offer to the agent for consideration by the vendor. Hopefully they will accept your offer and you can move on to the next stage. If your offer is not accepted, try submitting a higher offer that is still within your budget. Once you have an agreed purchase price with the vendor contact your solicitor to start getting the conveyancing ball rolling. I would recommend using a professional and independent solicitor that you trust to get your property purchase through. If you have a family solicitor that also handles conveyancing I would recommend using them – usually your family will have had a great experience with them and you can trust them in your matters. Alternatively use a recommended and personable local independent solicitor not a call centre or internet solicitor. As with the solicitor I found that using an independent mortgage broker was much more helpful to me as he did all the legwork with all the different lenders and then came up with the best deal available at the time. I didn’t realise how often they change and its important to ensure that you have the most up to date advice. Your mortgage company will appoint a valuation surveyor to confirm that the basic price is right, however it’s always worth having a proper ‘Homebuyers Survey’ which is much more detailed and could save you thousands of pounds on unexpected issues. This is especially important with some of the older style houses in Bournemouth as the one I’m buying is about 100 years old! 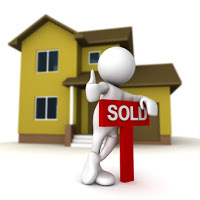 Visit www.alliedsurveyors.com as they are very good at providing detailed ‘Homebuyers Surveys’. 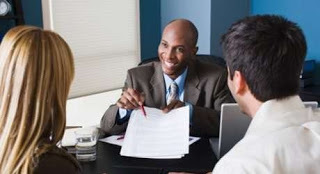 If your mortgage application is successful, and the property valuation is satisfactory, the mortgage lender will send you a formal mortgage offer letter. When you receive the mortgage offer letter from the lender it’s important to read through it carefully. The document will contain the exact figure the lender is willing to advance, taking into account your financial background and the property’s market value. If there are any discrepancies you should contact the lender as soon as you can so they can correct any mistakes or provide clarification on any issues. Until you exchange contracts, neither side has any legal obligation to buy or sell the property, and both can pull out without any penalty (or only the deposit on agreeing offers, if one was made). 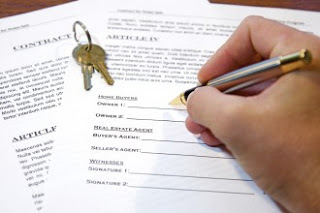 Both buyer and seller sign identical contracts, but only when they are formally exchanged by the solicitors does the deal become legally binding. Between exchanging contracts and completion, either side will almost certainly pay major penalties if they pull out. However, it is extremely rare for anyone to pull out after exchanging contracts, and in practical terms, this is when you can breathe a sigh of relief – you can be pretty sure your house purchase will go through. All you have left to do now is wait for completion day and….MOVE IN!! What you can borrow IS NOT ALWAYS what you can afford to borrow. Do not leave yourself in a sticky situation if interest rates change. Matthew Fleming-Duffy from Cherry Mortgage and Finance http://www.cherryfinance.co.uk/ for my mortgage broker. And Lesley Curtis from Ellis Jones in Canford Cliffs http://www.ellisjones.co.uk/ for my solicitor. Do not get too carried away whilst searching for your home, keep standards realistic and have a good look around before offering, DO NOT jump on the first property you see because you are so excited about moving out. It is also a good idea to not use the entirety of your mortgage AIP in order to be more likely to get the mortgage offer. Remember it is called ‘the ladder’ for a reason and everybody gets on at the bottom.